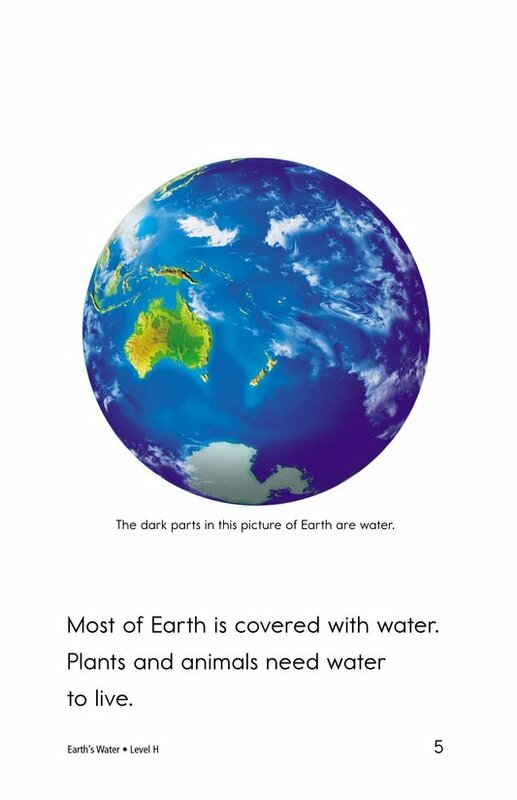 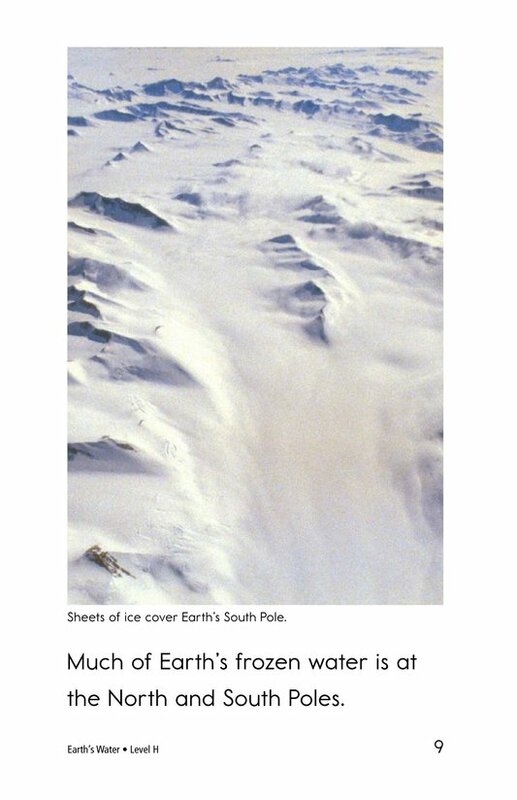 Most of Earth's surface is covered with water. 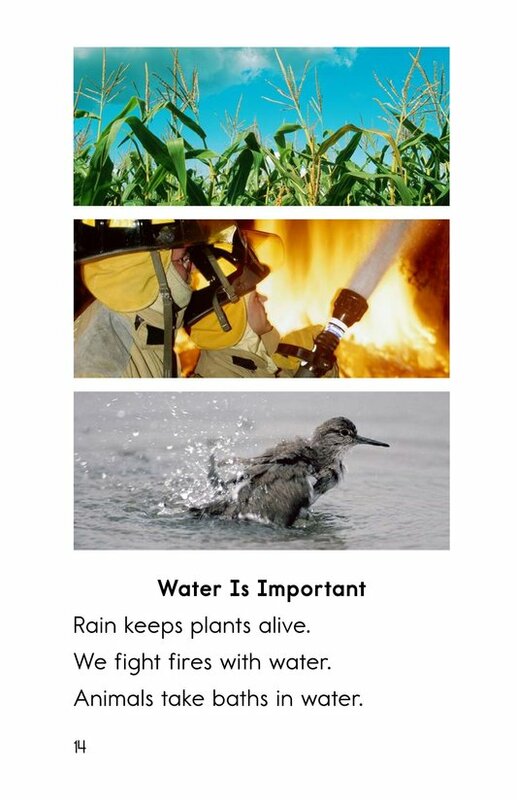 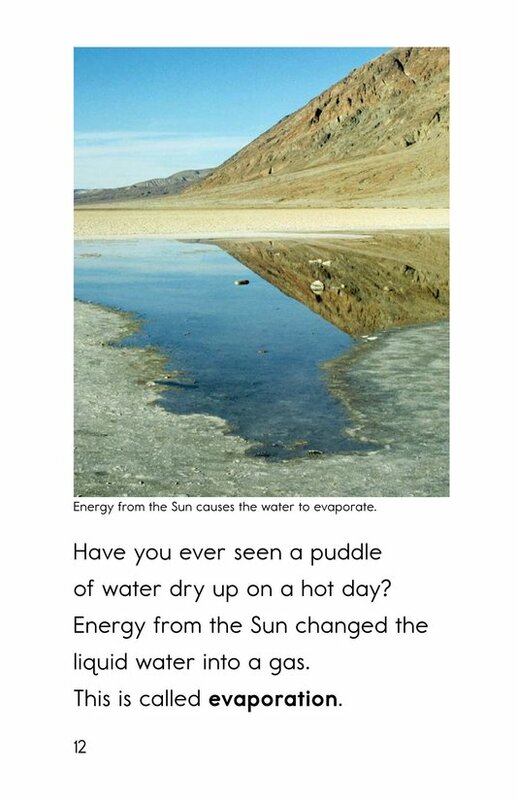 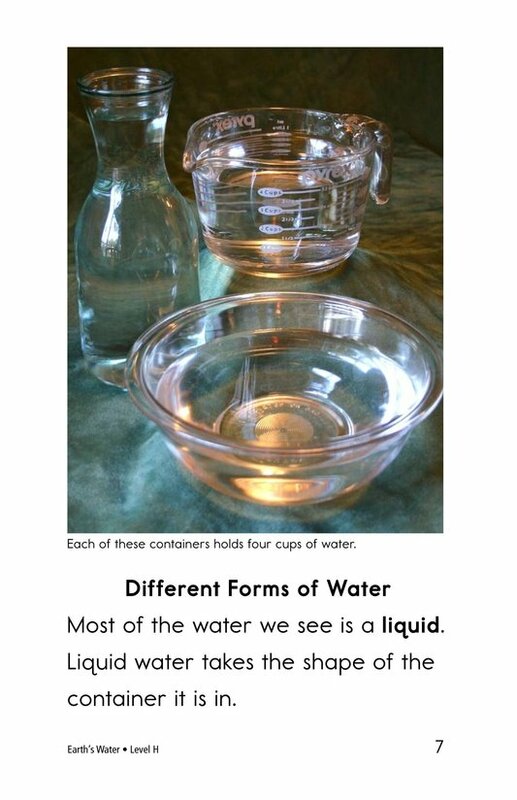 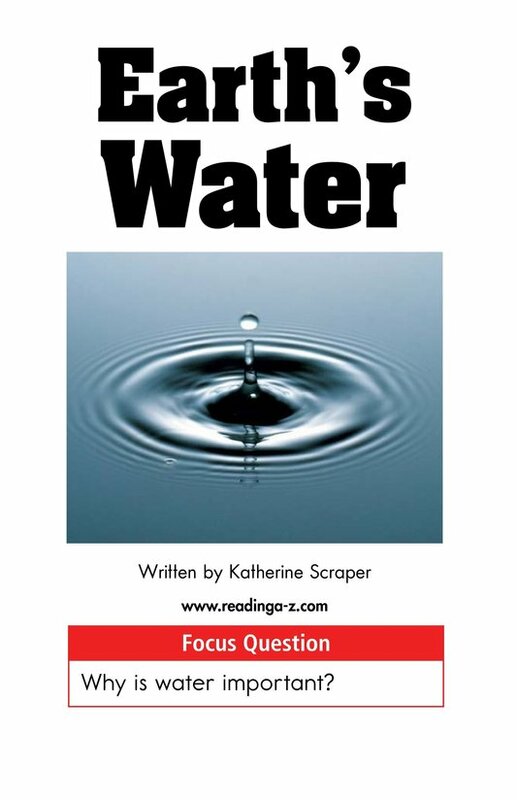 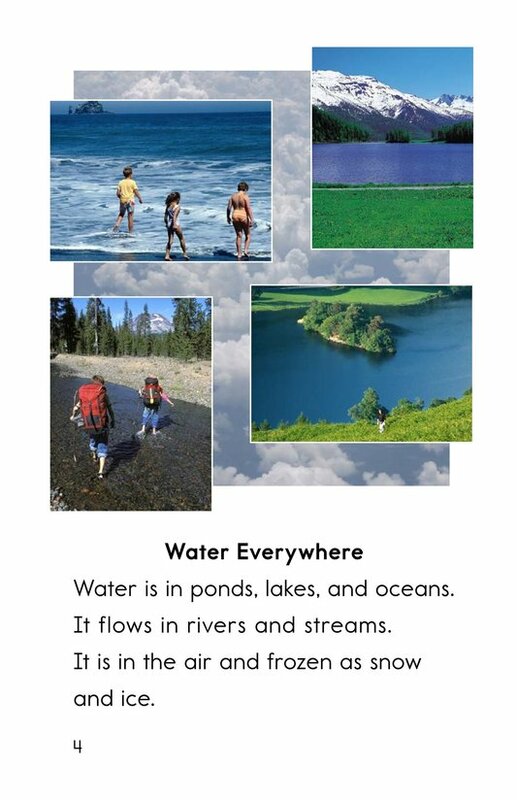 Plants, animals, and humans are dependent upon water for their survival. 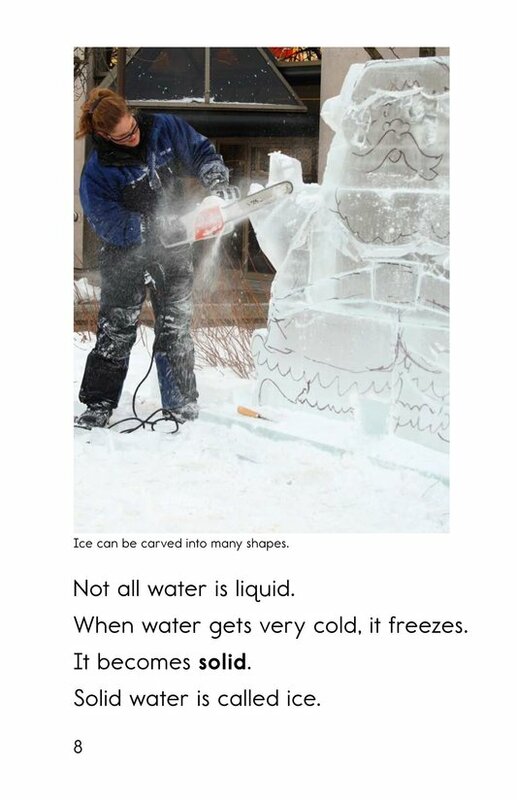 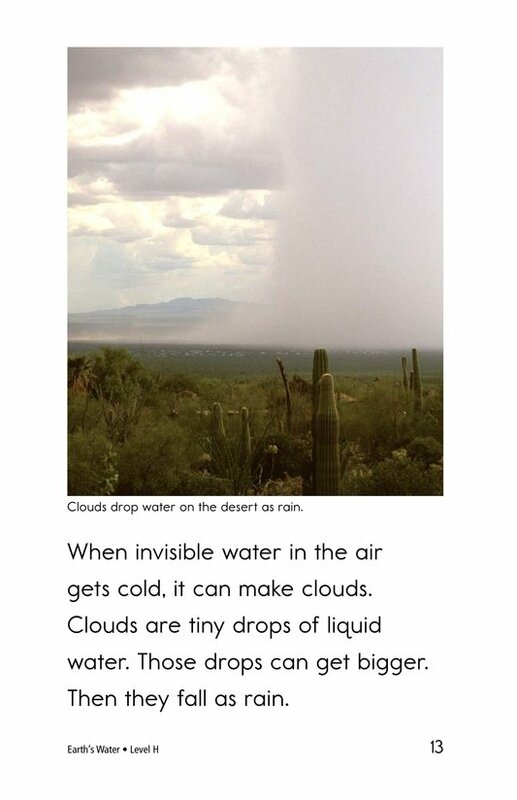 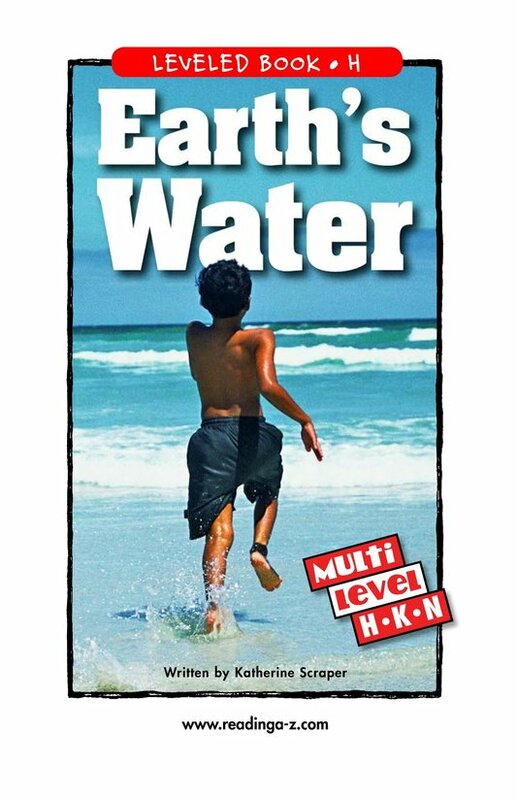 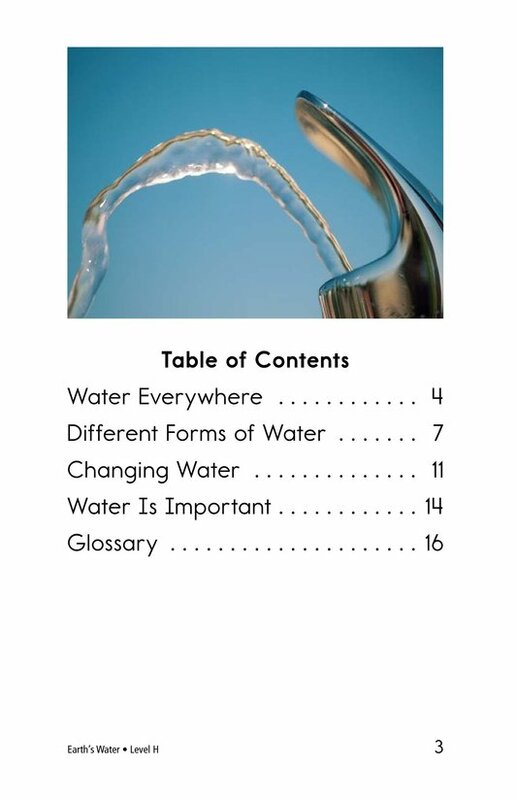 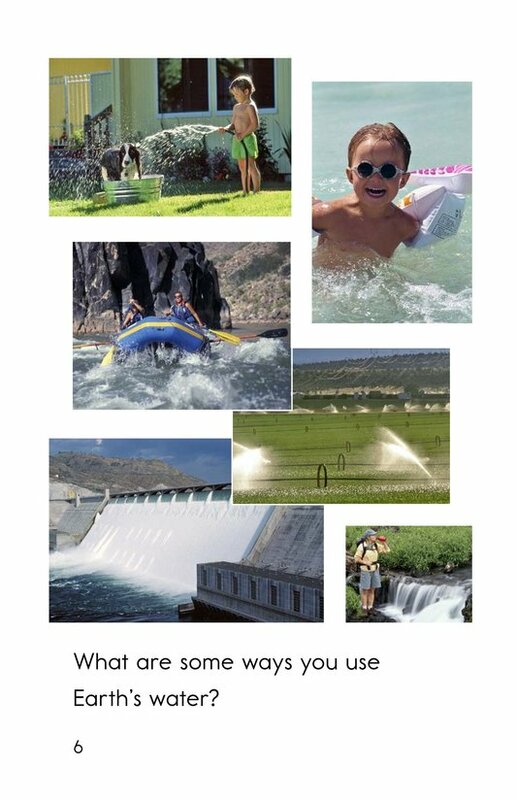 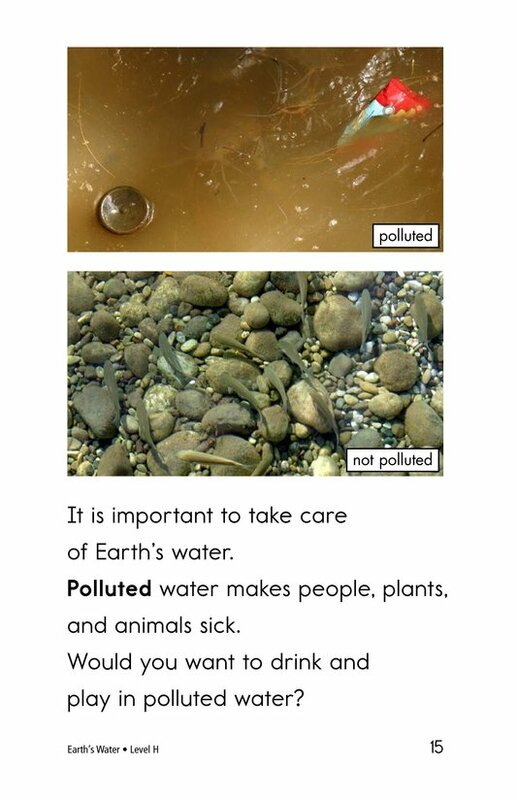 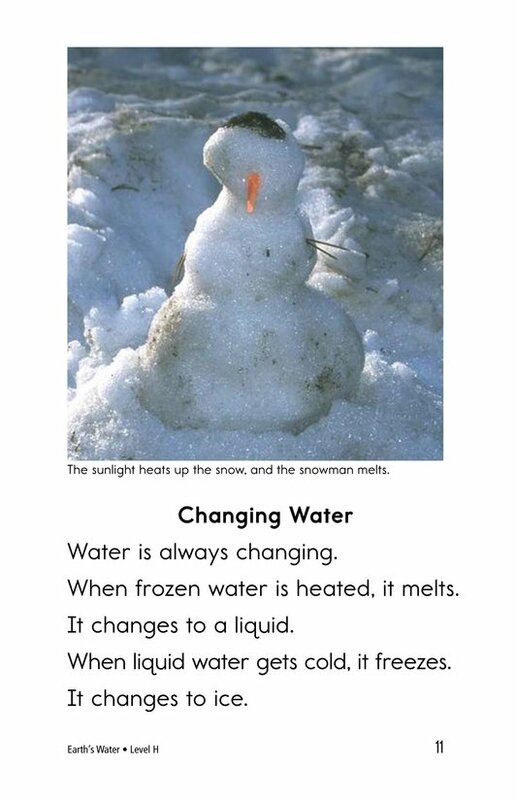 Earth's Water introduces students to the many forms of Earth's water and emphasizes the importance of caring for this valuable resource. 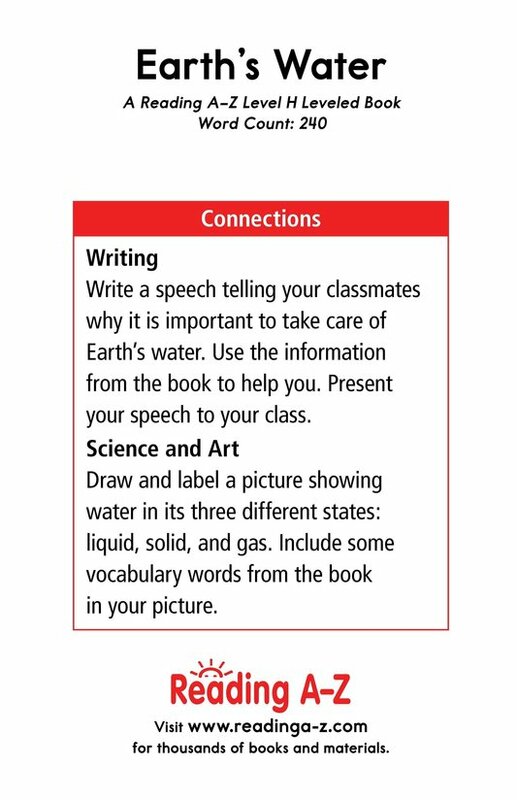 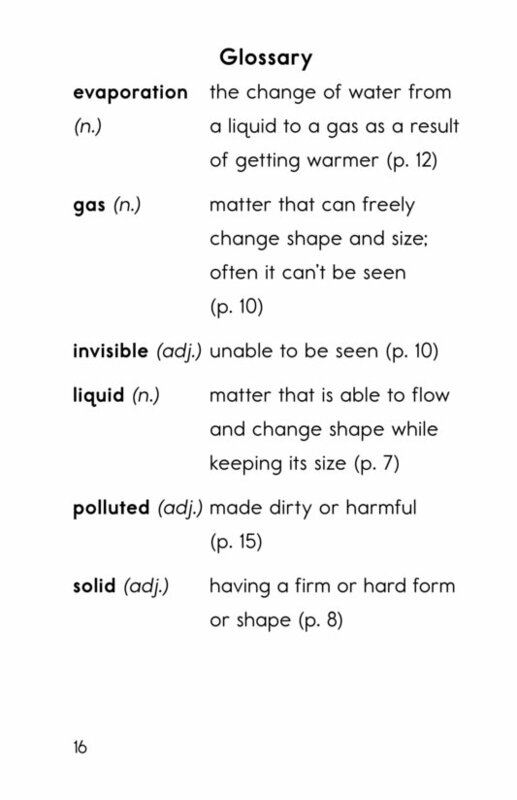 The book can also be used to make connections to prior knowledge and to identify main ideas and supporting details. 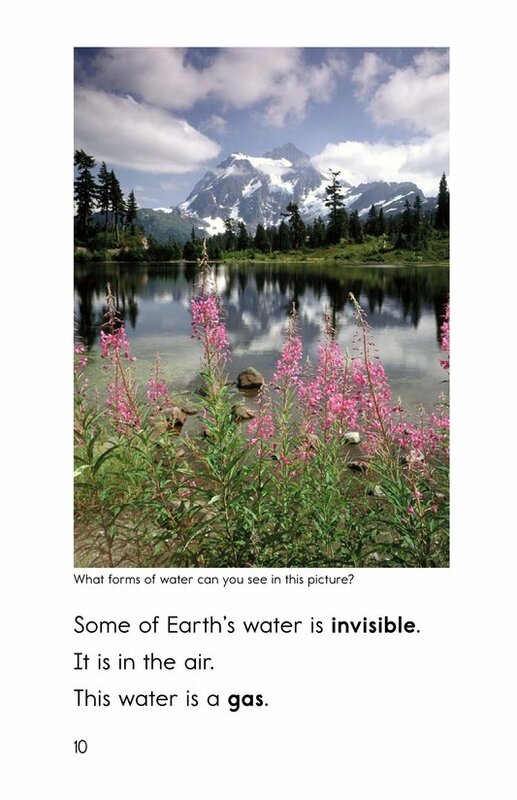 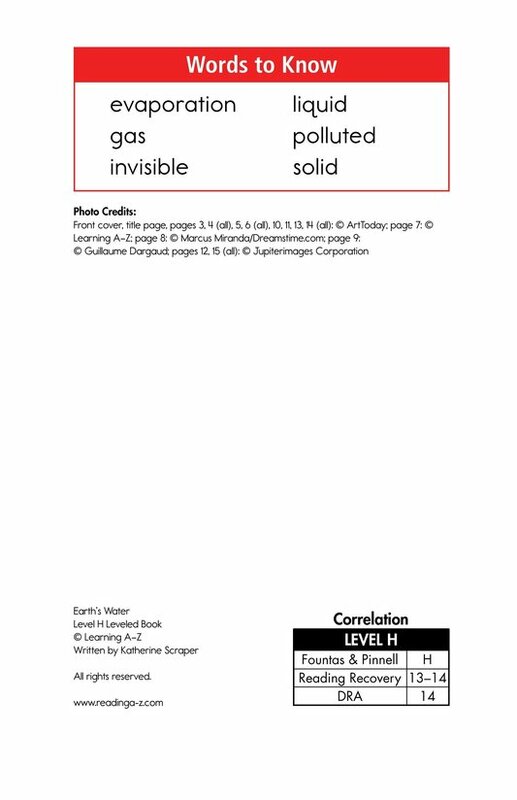 The book and lesson are also available for levels K and N.